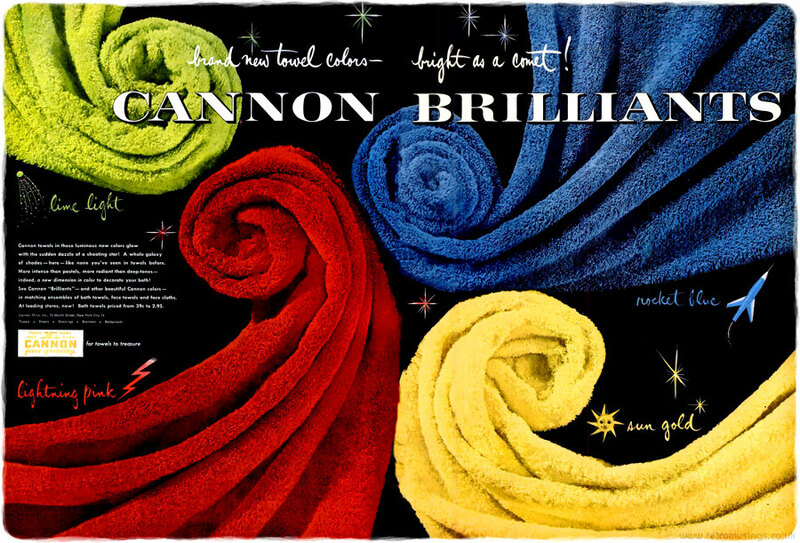 These ads for Cannon towels date from 1940-43. 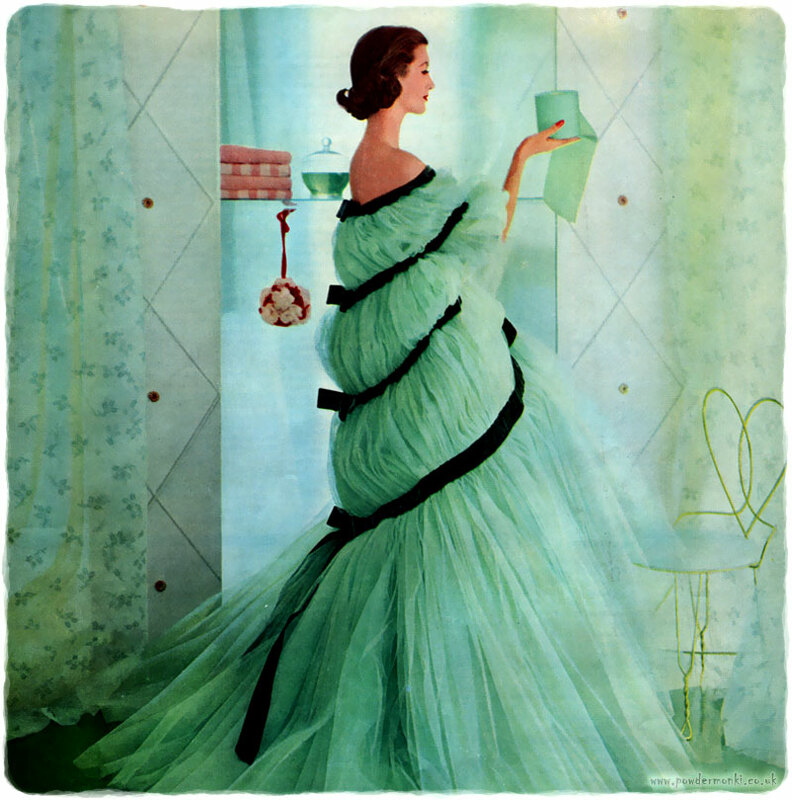 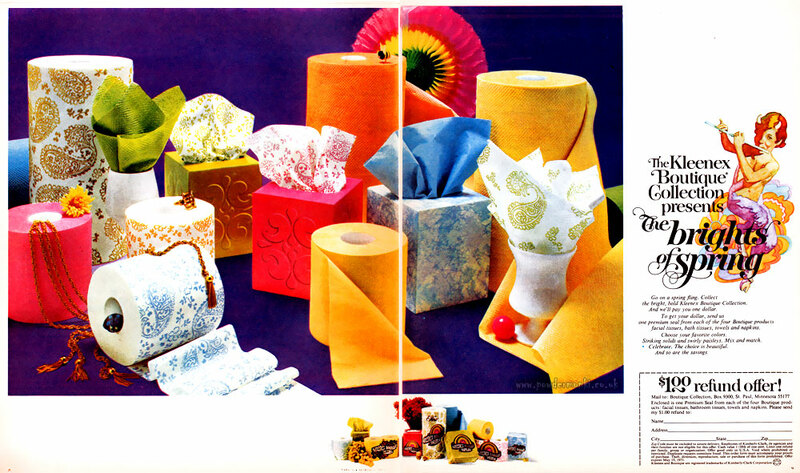 Cannon also produced sheets and hosiery. 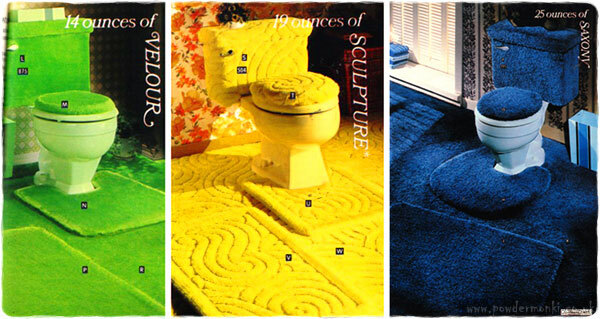 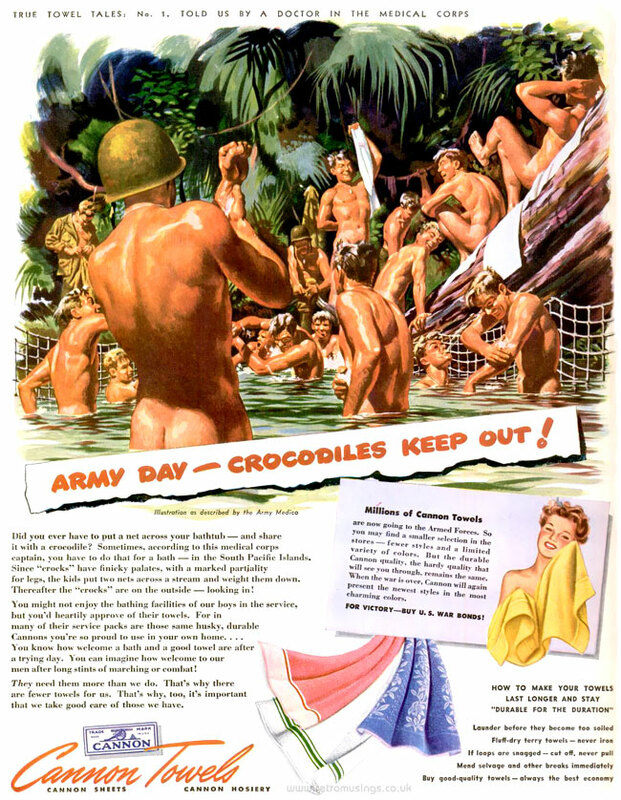 These six ads for Cannon towels date from 1943-44, illustrated by Stevan Dohanos, Fred Ludekens and James Bingham. 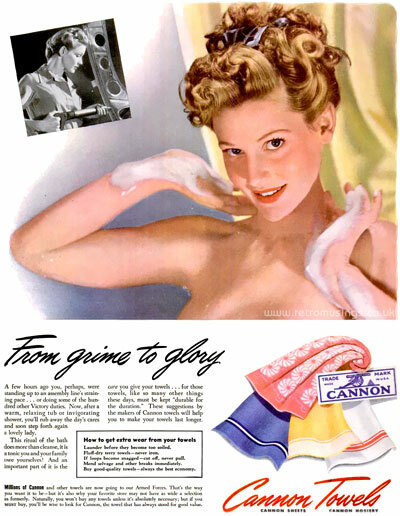 These ads for Cannon towels, dating from 1944-46, featured an array of towel-clad ladies drying themselves off in the bathrooms of tomorrow.